Today I am going to review Extra Creamy Round lipsticks by NYX Cosmetics. NYX Cosmetics (pronounced "niks") is a cosmetics company founded in Los Angeles by Toni Ko. Started as a small company in May 1999, it was named after Nyx, a Greek goddess of the night. By 2014 the company said its products were sold in seventy countries with yearly sales of $93 million. NYX Cosmetics is a cruely free brand! 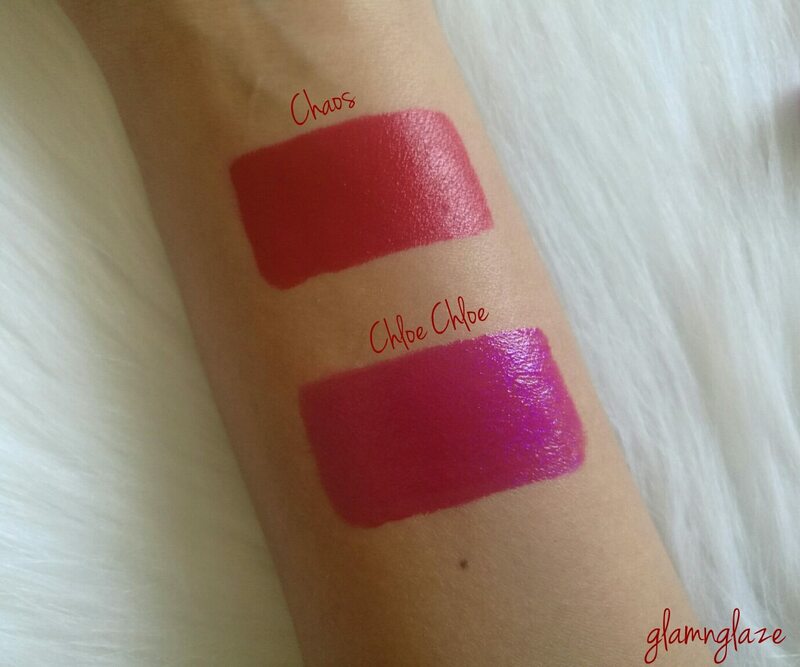 There are 88 shades in this collection and I picked two shades called Chloe Chloe & Chaos. CeraMicrocristallina / Cire Microcristalline, Tocopheryl Acetate, BHA, Limonene,Fragrance / Parfum. MAY CONTAIN / PEUT CONTENIR (+/-): Mica, Titanium Dioxide (CI 77891), Iron Oxides (CI 77491,77492, 77499), Red 6 (CI 15850), Red 7 (CI 15850), Red 28 (CI 45410), Red 36(CI 12085), Blue 1 Lake (CI 42090), Yellow 5 Lake (CI 19140). Chloe Chloe : It's an iridescent pink shade with blue/purple undertones(Fuschia or Rani pink).This shade has finely milled shimmers in it.I love this shade a lot.It has a satin finish and looks gorgeous.Suitable for all skin tones.But,not really suitable for daily-wear purposes. Chaos : It's a classic bright red lipstick with blue undertones.It is creamy in nature but, has more of a velvet matte of a finish rather than a satin one.I love this shade and is very much wearable and not over the top! This band matches the shade of the lipstick that the tube contains.For eg. if Chloe is the lipstick then the band at the bottom is of red colour! Experienced no feathering,flaking or bleeding! 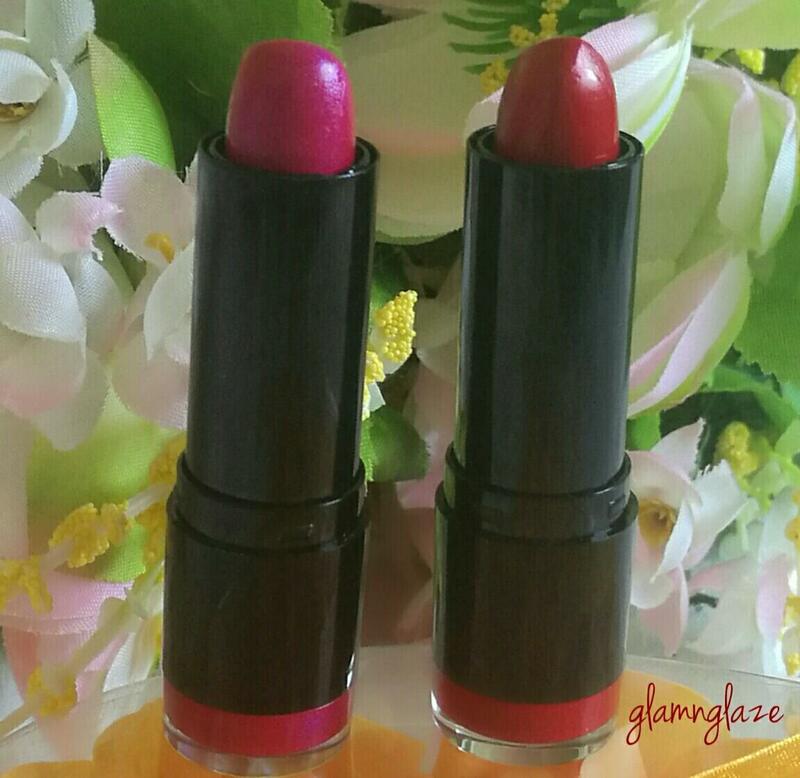 Re-application of these lipsticks is not an issue.These lipsticks still glide-on smoothly. Mild-floral fragrance.It's not overwhelming or bothersome. My favorite is Chloe Chloe.It has my heart.I love this shade. Also,the red one called Chaos is a very nice red lipstick.Looks really good on the lips.Not gaudy! 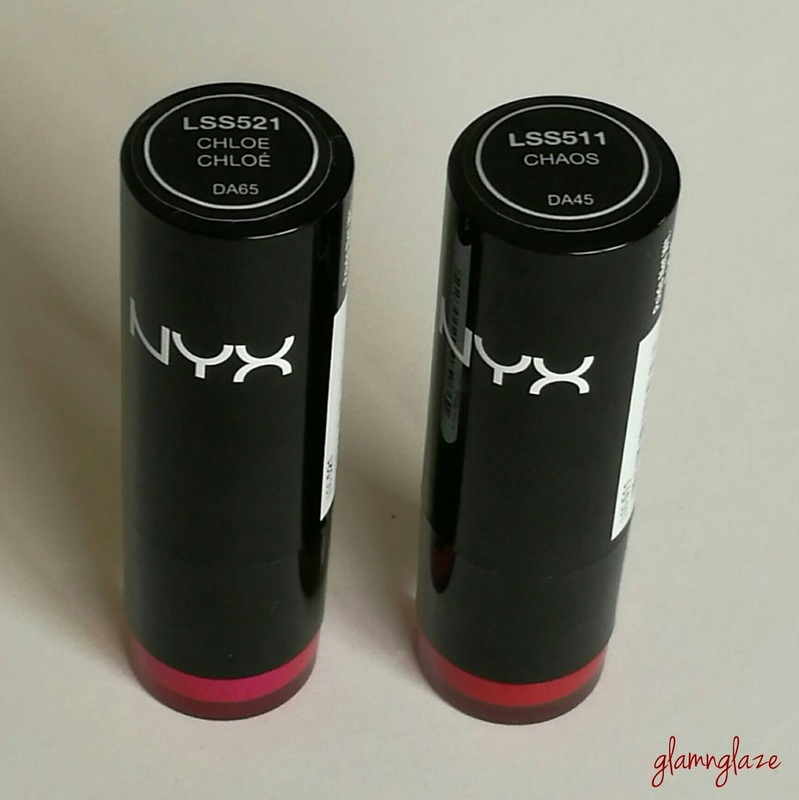 The shade range of the NYX Extra Creamy Round Lipsticks is awesome as well. There is a huge variety of shades in the Extra Creamy Round lipsticks collection.I recommend this lipstick collection to those who are looking for really affordable and good quality creamy lipsticks.Go get it! 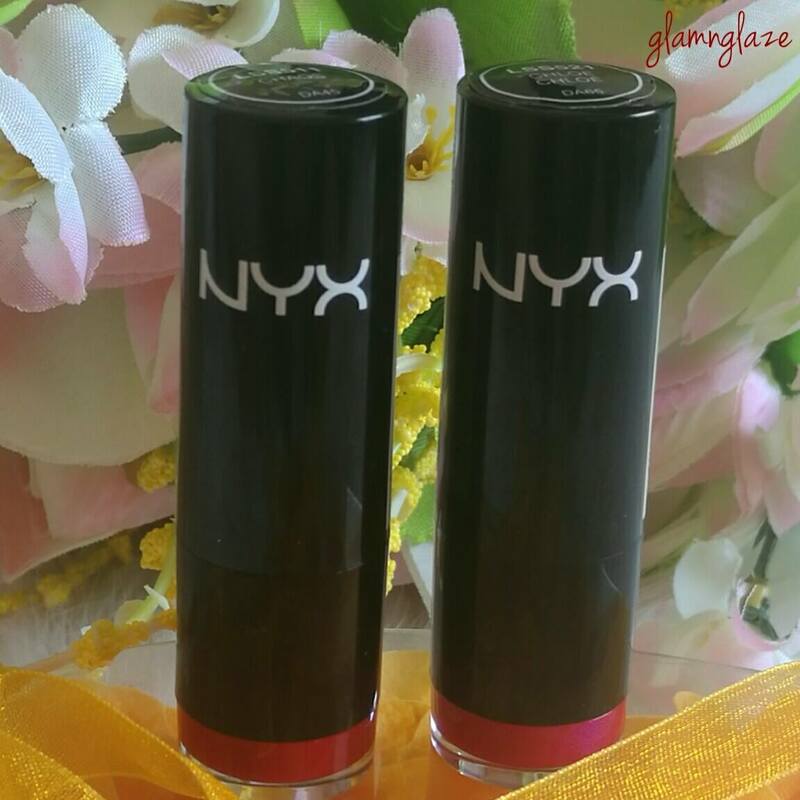 Have you tried any of the NYX extra creamy round lipstick? What do you think of them? Disclaimer: Please note that what works for you might not work for me and vice versa. So,please think wisely before purchasing products.